Keeping patients loyal is crucial. However, patient confidence in provider’s abilities and how the staff cares for them is critical to patient retention. The two important indicators of patient loyalty to a medical practice are patient confidence in the provider along with quality of care coordination. These factors surpass other issues such as wait times, practice facilities and ease of access as revealed in a recent study by healthcare consulting firm Press Ganey. The study finds that growing amount of patient access to provider quality data could see more patients switching physicians. This will certainly be fuelled by the Affordable Care Act as patients will have more physician options to choose from. Press Ganey highlighted five risk factors which could lead to patients switching providers. It developed an algorithm that can be used to benchmark the risk of losing patients and suggested steps practices could take to mitigate the risks. Press Ganey developed a Decision Tree Analysis in which patients with high or low degrees of risks for leaving their physicians were divided into groups. Patients with a 1.9% risk of changing practices had “high confidence” in their providers while those with a 75% risk had “low confidence”. Patients who expressed high confidence in their providers and felt good care coordination had a 1% risk of leaving the practice while those who thought care coordination was not good, had an 11% risk of switching providers. Patients who lacked confidence in their providers but believed the practice was good at care coordination were at a 28% risk while those patients who did not have confidence in their providers and did not like care coordination had a 90% risk of switching practices. The same risk factor methodology was applied to the other three factors determining patient loyalty as well. “This analysis suggests that coordination of care and demonstrating concern for the worries of patients represent key opportunities for physicians and their associated medical practices to improve patient care, while also enhancing patient loyalty and supporting financial viability,” the Press Ganey researchers say. Can more clinicians solve shortage of primary care physicians? As a generally accepted rule, shortage of primary care providers is met by training more of them. However, looking at the problem in a different way – as a mismatch between the demand for primary care services and the system’s capacity to meet that demand – may result in faster and more cost-efficient results. One product which can help primary care physicians in improving their workflows largely is the “All-in-One” Cloud by CureMD. Click here to learn more. Experts argue that the supply-demand gap for primary care services can be reduced by making better use of existing resources like primary care physicians, physician assistants, nurse practitioners, nurses, pharmacists, psychologists, medical assistants and health coaches. Reassigning these resources can significantly improve primary care practices’ ability to meet patient needs in preventive, chronic and acute care. As per research, 17% of an average family practitioner’s time is spent on preventive care such as cancer screenings, immunizations and counseling. Medical science has come a long way. It is allowing patients to perform many services themselves which earlier required a clinician such as home pregnancy tests, HIV tests, blood sugar checks, glucose monitoring, etc. As technology continues to open new avenues of delivering healthcare in the industry, the future looks very promising. Soon enough, computers could be programmed to provide primary care to the patients and even be able to process medication refills for patients with diabetes, hyperlipidemia or hypertension. The US faces a shortage of 90,000 primary care physicians by 2020 and 130,000 by 2025, as per the Association of American Medical Colleges. This is primarily the reason why there is growing concern among the healthcare regulatory authorities and physicians alike about the shortfall. The need of the hour is to tap the nation’s unused primary care capacity in a way that it is able to address the expected shortage. Technology will play a huge part towards achieving that as it can make the impossible, possible. In the healthcare industry, increased cost associated with the operations of medical practice is one of the issues that one would possibly hear physicians, especially the solo providers, whining about. Every now and then you would come across healthcare professionals complaining about the very fact that efficient management of both the administrative and financial operations is, but a delayed, result of enormous monetary costs. Hiring additional dedicated resources to control the administrative and financial side of the practice is one of the reasons behind the increasing operational costs. Fortunately, health IT has a remedy to this problem as well. Applications like practice management are available to help physicians streamline the business operations on their own, without having them spend hefty amount of money. “Why do physicians even have to be spendthrift when they have practice management available to them? Today, established vendors even provide all-in-one, affordable solutions that could help physicians address both their clinical as well as administrative needs by merely paying a minimal monthly subscription fee”, says a San Francisco based health IT consultant. Certainly, I tend to agree with the aforementioned statement. With practice management software in place physicians can perform all the non-clinical tasks by themselves. Practice management helps them optimize all the business workflows within seconds – thereby saving valuable time and money. From scheduling appointments to noting patient demographics to sending electronic messages, the built-in practice management modules help physicians streamline all these administrative tasks. The software also ensures that there exists seamless workflow transition between the front and back office so that no barriers hamper the billing operations once the clinical actions are completed. Furthermore, cloud based practice management software has also helped in curbing the costs associated with traditional hosted servers. This means that after spending an affordable amount on implementing practice management, physicians do not have to waste more money on software upgrades and maintenance. Considering the financial slump and appalling conditions of the economy, physicians cannot afford to spend a good deal of money on first hiring additional resources and then training them to manage the business operations of the practice. Instead they could simply implement practice management software and eliminate the need of an office manager. While adversaries would proclaim that this might end up hampering physicians’ productivity – making them less attentive towards their core responsibilities, the advocates would not back out on supporting practice management software and helping physicians realize the potential benefits this technology can bring to them. Practice Management Software – What Physicians are Missing Out on? Although the availability of internet and media has played a vital role in creating the awareness about health IT applications like Electronic Medical Records (EMR) and Practice Management. However, some physicians even today seem to have limited or no knowledge about such solutions. While one can expect physicians being familiar with EMRs, generalizing the fact about practice management software would not be appropriate. “Although the technology has been out there for quite some time now, not every physician is fully knowledgeable about practice management software. There are various reasons to it. Nevertheless, the increasing trend of practice management adoption illustrates that physicians are taking the matter seriously”, says a New York based health IT consultant. Increasing number of patient visits is obviously a sign of augmenting profitability for a practice. 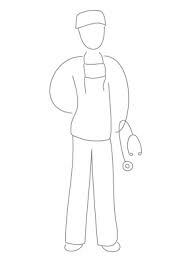 However, this is only possible if the productivity and efficiency of the physician is not questioned. Practice management helps physicians address the aforementioned issues by automating the administrative and financial workflows of the practice. Physicians who once spent a lot of time staying engulfed in huge piles of paper, can now do it all with just a few clicks. Some physicians fail to understand that the time they spend in managing paper records and getting into the hassle of billing efficiencies could be easily saved by implementing practice management. The time saved could then be used to ensure better patient engagement and better care quality. Besides various other advantages, fewer patient complaints and increasing profitability would surely be the two most evident benefits. Since we’re on the subject of billing issues, it reminds me that one of the major problems for physicians is never ending account receivables. Since they are not running charities, being paid for the services provided and that too in a timely manner is obviously going to be a preference. 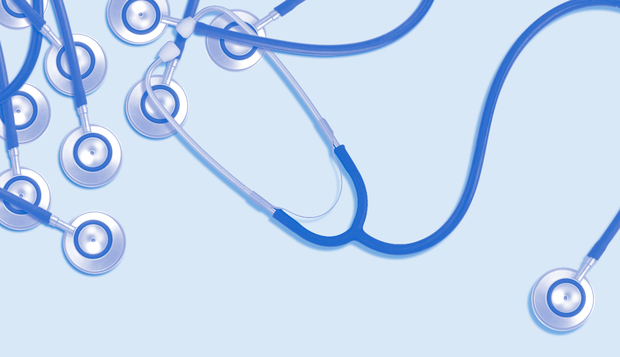 Practice management software helps physicians streamline the billing operations in a jiffy. It also helps physicians recover the outstanding receivables, which may have occurred because of human errors in real time. One of the plausible reasons why some physicians do not take the matter seriously is the misconception that practice management software requires one to be equipped with extensive IT related knowledge. However, renowned EMR vendors understand that IT is not the area of expertise for physicians. This is why, while offering practice management software, they keep usability their top priority; not to forget, affordability too. Practice Management – What’s Missing in EMRs? Considering the daunting competition among Electronic Medical Records (EMR) vendors in the market today, various vendors are trying to innovate healthcare technology as much as possible. It is certainly not difficult for them to realize that in order to influence the consumer market and to generate revenues, they need to focus on the need of the hour – the integrated HIT application suite. Besides efficiently maintaining clinical records and documenting patient encounters, managing practice operations is yet another challenge that physicians face on a daily basis. To resolve such issues, physicians prefer practice management software, which helps them to record “non-clinical” information of patients. It simplifies the administrative and financial workflow management and also eliminates the hassle of re-entering patient information. This means that once the information for a particular patient has been stored into the system, next time the provider simply needs to use the click of a button to access the entire data. “I remember how many hours it would take to manually enter patient information, maintain the records, and retrieve them when needed. With practice management software, however, it just takes a few clicks and there you go”, says a New York based physician. Having established that, there are several other reasons behind the increasing demand of integrated practice management software. Physicians prefer such systems because they help them in reducing the levels of stress amongst their staff and also saves valuable time. Moreover, it is more convenient and prolific to have all the essential workflow management components on a singular platform. While the internal benefit of Practice Management software is to increase practice efficiency, the external benefits include a safer environment through the reduction of paper use. “With health IT application suites, apart from saving lives, physicians today also serve in protecting the environment. This is clear evidence that green technology is the future”, says a New York based Health IT consultant. The above stated facts illustrate the significance of practice management software in the world of HIT. Unfortunately, the absence of practice management systems within an EMR increases the difficulty level of maintaining administrative and financial workflows of the practice. It is essential for EMR vendors to realize that although technological advancement aids in optimizing managerial process, incomplete packages might deteriorate the consumer interest in a particular technology. Nevertheless, there are some vendors that understand the consumer demands and offer an “All-in-One” EMR package with integrated practice management software. Read more: EHR & Healthcare automation: Are patients better off? Before getting into the nitty gritty of what a Practice Management software is all about, let us define it first. In simple words, a practice management software addresses the day to day operations of any medical practice and allows the clinical user to capture patient demographics, maintain insurance payers list, schedule patient appointments, perform billing related tasks and generate user defined reports. This implies that an ideal practice management software should make front desk operations look like child’s play, but is that the case? Many medical experts will have their own recommendations on which practice management software should be considered, but blindly implementing a software based on someone else’s recommendation can prove be a physicians Achilles heel. What most medical experts don’t realize is that each practice has its own customs, specialty and workflows, which is why they would pick the practice management software that best suits their existing workflows. Implementing a practice management software and the subsequent transition phase is something that physicians would rather avoid. The only drawback in such circumstances is compliance issues. There are many practice management software’s which might meet the practice needs but fail to comply with HIPAA rules and regulations. The sudden change to a more compliant practice management software creates havoc and the physicians ends up de-optimizing his practice rather than optimizing it. So how does one decide what to look for and stick to it? here are many software’s in the industry today that offer their solutions for practice management but the key is to choose the right one. First step is classification. Practice management software’s are designed for small (1 -2 physicians), medium (5 -10 physicians) and large (10+ physicians) sized practices. A physician must identify the software’s which satisfies his requirements, decide if the practice needs a client server or cloud model, verify if the practice management software integrates with the EMR/EHR and then perform the tricky bit – schedule a product demo ! Before we get to the demo part, choosing the right model is the key. A client server model for practice management would mean that the practice would either have to acquire or finance server equipment, along with setting up workstations for its users which will have the practice management software installed on them. The primary disadvantage of running a client server model is the cost of running the server. This is where the SaaS or cloud model outshines the client server. The SaaS model decreases cost while increasing security and reliability. The only drawback is that protected patient data will be with the EMR/EHR vendor, which could raise unwarranted security issues. Integration between practice management software’s and electronic medical records is often a key decision maker. During implementation it is considered to be one of the most challenging aspects faced by any medical practice. Few EMR/EHR vendors in the industry today offer a complete suite, which consists of both EMR and PM, but a fewer number of vendors exist whose practice management software would integrate with any EHR. The wise choice would be to identify the vendor who offers the complete suite and whose practice management and electronic medical records are top notch. Although this might seem like an impossible task, there are a few vendors out there who do provide such services. The question remains on how to identify them, and the answer to that question is simply KLAS. Recent unbiased surveys by the KLAS group have catered to this need. A quick glance at their survey will help physicians and office managers identify the leading EMR and practice management providers in the industry, and would expedite the overall selection process. Categorized by different specialties, practice size and other criteria, I would recommend medical experts to take part and review the survey to get the best value for their money.